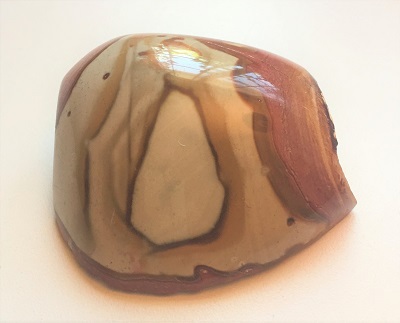 Creamy tan, terracotta, and hues of brown pattern this Picture Jasper polished free form stone from Madagascar. 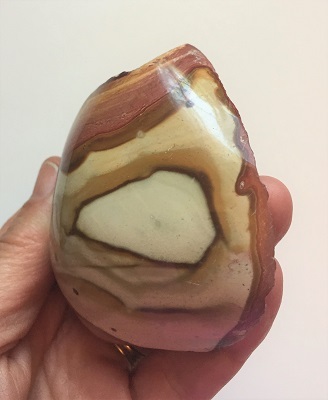 With its earth toned markings, this Picture Jasper polished stone gently brings to the surface hidden emotions and thoughts that are normally pushed aside. Picture jasper lends energetic support to follow through accomplishing goals with persistence and determination. 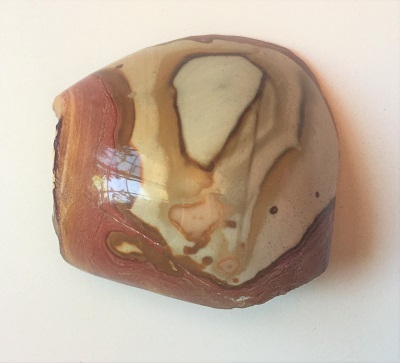 Picture jasper helps one face challenges and perceived problems with integrity, courage, and is energetically supportive and protective over the long haul. Picture Jasper strengthens the grounding connection between the earth and the root chakra. Picture jasper encourages one to follow their creative vision and get busy doing whatever contributes to their overall well-being. In healing, Picture Jasper stimulates the immune system and cleanses the kidneys. 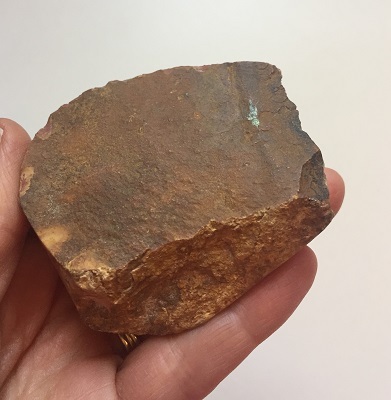 This brown colored picture jasper may also be helpful to stimulate the appetite and support a “back to basics” sensible approach when incorporating life style changes.